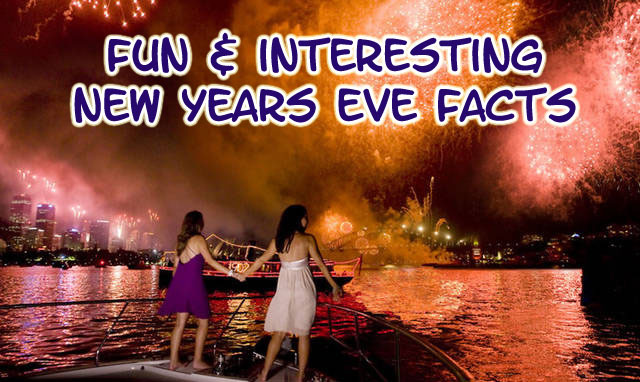 Fun & Interesting Facts About New Years Eve. With Christmas just around the corner and the end of the world year being so ...nigh I thought it would be fun to find out a little more about New Years Eve itself - what makes it special and why it has become such an integral part of our celebratory calendar. 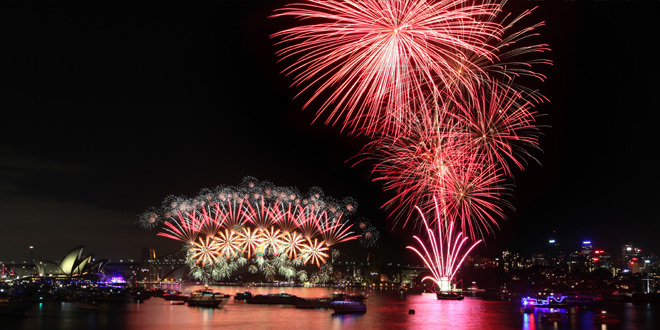 What Makes New Years Eve Such a Special Event? The first New Year was officially celebrated over 4000 years ago by the ancient Babylonians, and to this day has only grown in popularity not simply for its ability to throw a damn good party but because inherent in new years is the promise of redemption and renewal along with the hope of a more prosperous new year. Granted these things may not necessarily come to pass but like any good hangover you'll get over it and move on with your day. So with 4000 years of 'official' New Years Eve partying under our belt we should be able to find some pretty cool albeit random facts about this most awesome of nights. The First recorded New Years Eve party was held over 4000 years ago by the ancient Babylonians. 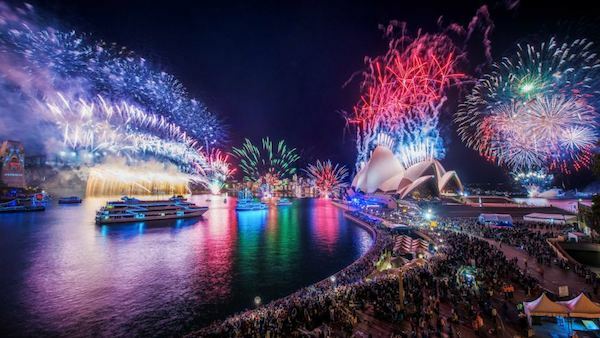 Statistically speaking, Sydney holds the biggest New years eve Fireworks shows - with over 80,000 individual fireworks being let off on the Harbour Bridge alone! Now THAT'S what I'm talking about. Aussie Aussie... Auoh never mind. Traditionally the first person you speak to or see will either give you good luck or bad luck. I could argue that this is the reason why we surround ourselves with friends and family when the clock counts down to midnight but I already see your counter argument and completely agree - why on earth would I not want to surround myself with loved ones?! "oh yeah, let's go party with all the peanuts in my life - that'll be fun"
The famous Times Square New Years's Eve Ball was first dropped in 1907 after there was a fireworks ban. Back then, a 700-pound ball embellished with 25-watt bulbs made of iron and wood was dropped. Now, however, it weighs 11,875 pounds, is 12 feet in diameter and is adorned with 2,668 Waterford crystals. - Australia are unable to confirm whether our crime statistics are similar to that of the US simply because it's New Years Day and I doubt Sensis would even be up yet. The traditional New Years Eve song is Auld Lang Syne which means 'times gone by' and is probably the most well known song that noone knows the words to. In Italy, people wear red underwear on New Year’s Day to bring good luck all year long. - I must reiterate that it is the LUCK that will last all year and NOT the underwear. In Colombia, Cuba and Puerto Rico it is traditional for families to stuff a doll - which is called Mr. Old Year - with memories from the past year. They also dress him in clothes from the previous year and then at midnight they set it on fire, thus burning away the bad memories - not to mention the old clothes, especially useful when you have visiting cousins from Italy still wearing their red underwear because of a communication error! -to just be a better person over all.can I just take a moment to.....BAHAHAHAHAAHAHAHAAH no wonder over 80% of resolutions are broken, lost or just forgotten! I do like the last one though. World could do with less peanuts. - Mad I tell you! Those North Koreans are crazier than a bag of cats in a washing machine I swear. I raugh out roud. - Nothing a spot of Tea and Cricket can't fix! The new year is the most important holiday in Japan, and is a symbol of renewal. In December, various Bonenkai or "forget-the-year parties" are held to bid farewell to the problems and concerns of the past year and prepare for a new beginning. Misunderstandings and grudges are forgiven and houses are scrubbed. At midnight on Dec. 31, Buddhist temples strike their gongs 108 times, in a effort to expel 108 types of human weakness. Also interesting to note is that On New Year’s Day in Akita, a province in Japan there is a tradition where men dress as mountain demons, get drunk, and terrorize children for being lazy or disobeying their parents. It’s good luck to eat foods like black eyed peas, ham and cabbage because it is thought they bring prosperity. But if you want to have a happy new year, don’t eat lobster or chicken. Lobsters can move backward and chickens can scratch in reverse, so it is thought these foods could bring a reversal of fortune. Noisemaking and fireworks on New Year's eve is believed to have originated in ancient times, when noise and fire were thought to dispel evil spirits and bring good luck. 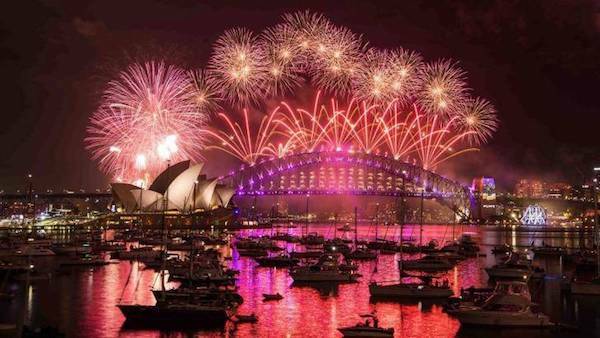 The Chinese are credited with inventing fireworks and use them to spectacular effect in their New Years Celebrations.